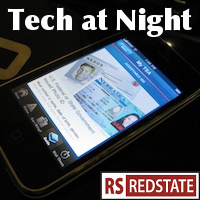 Tech at Night: Fox confirms my theory about Aereo. CISPA advances. CISPA continues to remain the big story right now. It’s moving on, though some are concerned that it was effectively renegotiated in back room meetings. It needs scrutiny before passage, I’m thinking. It’s probably a decent but watered-down bill at this point, but let’s look before supporting at this point. We need a good cybersecurity bill, not just any old thing. Which is exactly what Jay Rockefeller is up to: flailing about, expanding government willy-nilly, in the name of cybersecurity. The SEC? Doing Cybersecurity? Insane. I like the idea of the Internet Freedom bill, though. The global trend is away from freedom online, and it’s up to us to try to do something about it. The idea that the bill would hurt Net Neutrality is just a bonus. 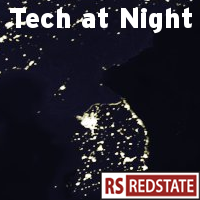 Tech at Night: Same old, same old. Obama administration run amok. I know, it’s terrible, but after missing Friday due to the RedState upgrade, I feel behind tonight and so am just going to have to speed through some of this tonight. Ah, the ARRA, aka the Porkulus. Picking Internet winners and losers in Colorado, and probably nationwide in many “little” stories the national media chooses not to pick up. That, combined with the final, eventual word that the FCC is looking at a national Internet tax, is why we must all be aware, and make the country aware, that a vote for Barack Obama, and only a vote for the President, is a vote for greater government and less liberty online. So, the FCC put out another report (the “706 report”) that just pushes an agenda rather than reporting the true facts about high speed Internet in America. Commissioners McDowell and Pai tell it like it is. We’ve also got Broadband for America telling the story. I’m not even worried about the details: the FCC is saying what they feel they must say to justify expanding government. CISPA’s proponents bent over backward to respond to reasonable complaints, but the extremists are still complaining. Anonymous and Mozilla (much of which is foreign, no?) are whining, but nobody ever points to any specific, offending verbiage of the bill. Am I the only one who reads tech bills before complaining about them? Even Democrats are having to start acknowledging Republican expertise in tech leadership, though. Darrell Issa is the leader of quite a gang in DC. Some people stay up late on December 31. I don’t intend to, Friday and New Year’s Eve or not. Boring, yes, I know. But until I switch to decaf coffee my sleeping habits are going to be a wreck, so I’ll just have to ride it out. And that means I want to get going right away with tonight’s stories. Republicans are getting very loud on regulatory issues, both with the FCC and with the EPA. Fred Upton is ginning up support in Michigan for his planned House efforts to challenge EPA regulatory power grabs with respect to Carbon Dioxide, efforts that will surely influence the FCC and Net Neutrality. In addition, on Sunday morning at 9am Eastern he’s scheduled to speak with Chris Wallace on Fox, with repeats on Fox News Channel at 2 and 6pm Eastern. I am so glad he’s going out there and preparing to lead on regulatory issues. Kay Bailey Hutchison has also called the FCC “wrong” on Net Neutrality, and is hoping to be able to get some sort of action through a Democrat controlled Senate. It won’t be easy, as she points out, but it could happen if we can swing enough Democrats to see the truth about the FCC power grab. She also doesn’t rule out defunding the FCC’s Net Neutrality plans, a way of stopping the regulations that the President cannot veto. Good evening. Even as Google tonight wins some recognition from conservatives for its observing Veterans day on the search homepage, the firm is still under fire. As Machiavelli warned, become the big guy and everyone turns on you. Now it’s the big television networks going after Google. Specifically, they’re blocking Google TV from watching streams of their shows. Fox has since joined the blockade I believe. This strikes me as a scared overreaction, and a poorly thought out one at that. As soon as Google TV’s User Agent is changed to match a desktop browser, the blockade is history and there’s nothing the networks can do about that. Opinions differ on the Cato Institute, but they’re right on when it comes to the ACLU’s deceptive arguments on Net Neutrality. Case after case of alleged net neutrality “violations” are raised and demolished. And remember, this is the case being used to justify urgent action by the FCC in defiance of the law and the courts. It’s all a bunch of garbage. Good evening. I’m starting on tonight’s Tech at Night earlier than usual. That’s because I have much to cover. Sometimes a whole bunch of interesting stories just pop up all at once, and I don’t want to leave any out. So let’s hurry up and start. For all the way the far left is flipping out over the Fox/Cablevision dispute – in which Cablevision refuses to pay for Fox’s content, and so Fox in turn threatens to take that content away – the FCC let the cat out of the bag by pointing out that Cablevision customers have four or even five alternatives, depending on where they live. Competition protects the public better than government ever, ever could.